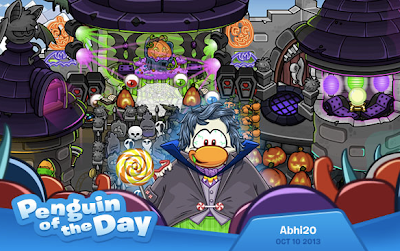 Club Penguin Cheats by Mimo777 Club Penguin Cheats by Mimo777: Penguin of the Day: Abhi20! Abhi20 is today's Penguin of the Day for always showing such kindness to his friends! He helps them find the pins, gives them tours and shows his pals how to adopt and look after puffles. He's a brill buddy to have, so be sure to say ‘hiya’ if you see him around! Contact Club Penguin to nominate penguins!